Make a splash at your next event!! This batch was made to celebrate the successful launch of Pay It Forward Farm’s first annual Playing It Forward Music Festival. We did a few embellishments but you could really go crazy with the stagewear! 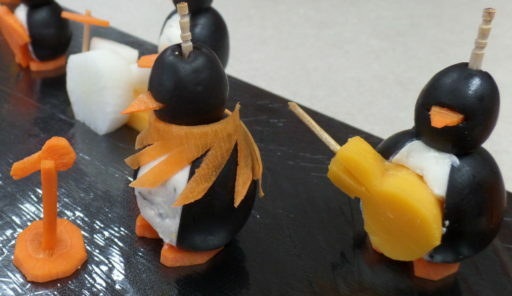 Perhaps get some ideas from the Halloween penguin page. The black keys are tiny bits of olive, and the green hair is parsley. Next time I’ll get white cheese and use it for the keys. Also, the guitar players could have roasted red pepper straps. 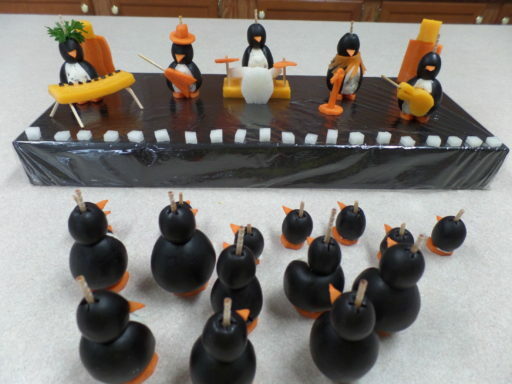 The drums are made from daikon radish. 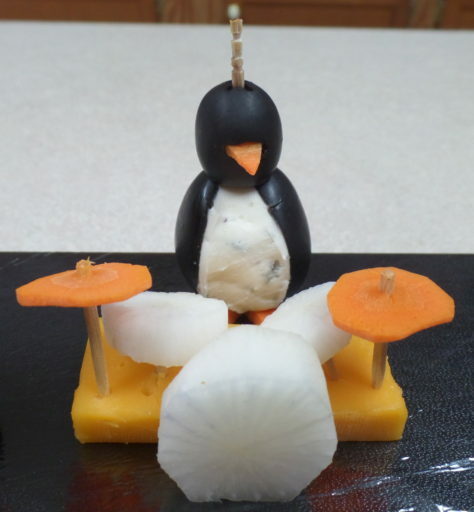 The cymbals are thin slices of carrot on 1/2 a toothpick, stuck in a small slab of cheese. The mic stand is all carrot – trying to think of a better way to do that part. Maybe an enoki mushroom for the microphone? The guitar is cheddar cheese. 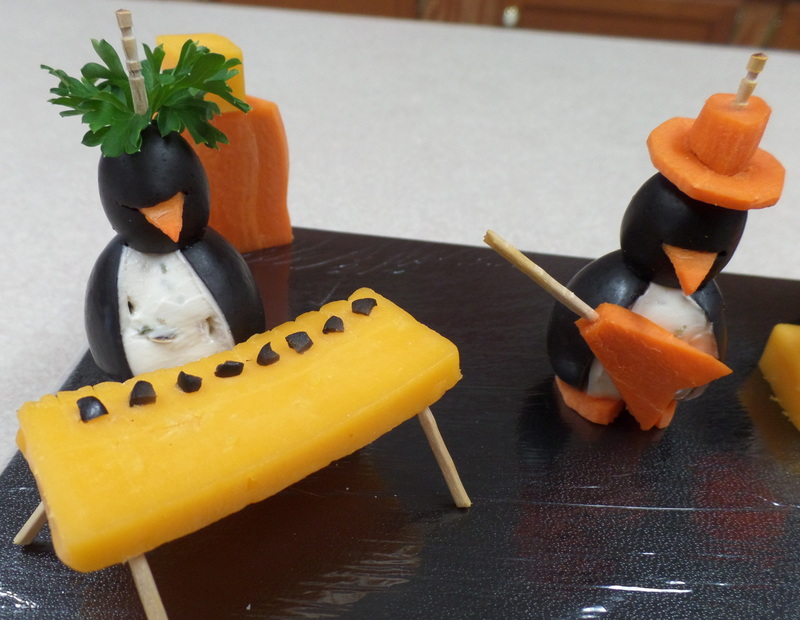 Notes for next time – add cheese monitors and make sure the daikon radish “footlights” are of uniform size & shape. This batch took about 2 hours to make.